Hello hello. I'm here today to talk to you about papercraft! Papercraft is the art of, well, crafting with paper. You can make models both large and small, complex or simple. The Zelda up there is life size. It's a fun craft that anyone can do, but for very complex models will take a lot of time, patience, and skill. Me being me I figured I'd download the most complex model I could find and start there. This led to several large mistakes (I'll provide pictures later on) that I hope that if you want to start doing papercraft, I can help you to avoid. Your first step is to find a model of something that you want to make. Papercraft can make great Valentines. They can be "fixed" to last a long time, so also make great gifts for those people who love to collect figurines. Or they're just a fun project. They're similar in hobby, to doing a puzzle. So determine what your purpose is and then get to googling. I'll list a few sites to help get you started. Deviantart is primarily where I go to search for new ideas. People are always creating new papercraft templates and posting them there. I did a few My Little Pony ones that I found on there and they turned out cute - although a little too difficult for my 5 year old. You're going to need some things. Probably most of these you have already, but if not, most of the stuff is fairly inexpensive. I use 120gsm (gram per square meter) paper. I've tried thicker paper and found it too rigid for detailed parts. This thickness produces sturdy models even over 40cm tall. (Source). I used standard copy paper at 75 gsm and it came out fine, if a little flimsy. I think if you're going to err, err on the side of less firm paper. Flexibility is more important than stability for more detailed models. I wouldn't go below standard copy paper firmness though. 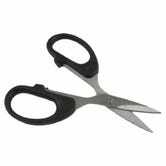 I use fine scissors. You need something small and maneuverable. These don't have to be anything too fancy. Something like this works just fine. I borrowed some dissection scissors from my work shhhhhh don't tell! I'll return them some day. The third and final "essential" item that you'll need is glue. This is the trinity of papercrafting supplies, you need your model. You need scissors to cut it out, and you need glue to stick it together. I use Aleene's quick dry tacky glue . For what it's worth it's in a gold bottle at Wal Mart. You can use the non quick dry or even Elmer's if you don't want to buy special glue. Just know you're going to be holding the pieces together for a bit longer. Aleene's is a bit thicker and so it tends to dry quicker which can be a good and bad thing. I've definitely ripped a few pieces here and there because they dried too quickly and I hadn't aligned them properly. Woops! Toothpicks - I use these to apply the glue to the model. It helps to apply an even coat and not get too much glue on the paper. Also helpful for those times you need to tuck a tab under something and you have big clumsy fingers like me. X-acto knife and board - I bought this but only used it a few times for very very small pieces (talking fingernail clipping size here). Not necessary if your model doesn't have extremely small pieces. Ruler/scorer - some guides say to score your folds, some say you can do lineless. For me, scoring left white lines on my color pages so I tried to not score whenever possible. This is going to be something you'll have to experiment with. Markers - you can try to color in your white lines if you have any (You'll know what I mean after you try your first complicated papercraft). Boxes/envelopes for organizing - if you're going to precut all of your pages, you'll need to keep them sorted otherwise it will in truth become a jigsaw puzzle. As I'm more casual, I tend to just cut as I go, and label all my pages. Color Printer - you're going to need access to a color printer to print out your models. This one is kind of a deal breaker for some people. While many models are PDF format so if you don't have a printer you can take it to Kinkos, some models are in pepakura viewer format. Pepakura viewer This little program is imminently helpful for more complicated designs. It shows you which edges go where and how to fold each piece. I could write a whole tutorial on how to use this program if anyone gets this far and is interested. (Just as a quick helpful note with the program: light blue lines denote a valley fold and dark blue are mountain fold - took me forever to realize this). So you've got all your materials, you're all ready to start cutting and gluing. Here are some tips from me to you. Mostly they're mistakes I made that I hope to help you avoid. Start small, but not too small. Yes, that 35 page replica of the Tower of London is amazing looking but until you get a feel for cutting and how the tabs work, stick with smaller projects. That being said, cube models, while cute aren't going to teach you much. Look for a design that has you folding the pieces some prior to gluing but isn't too intense. Something like Rainbow Dash. The instructions for how to assemble are also on that person's deviant art page. Fold. 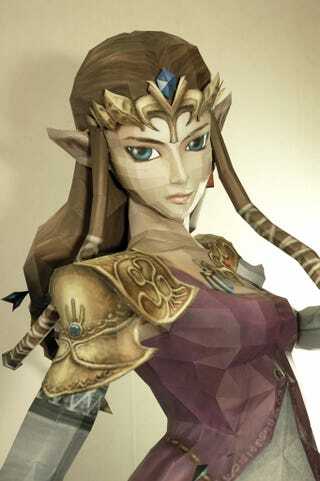 This seems obvious, but there is a technique in papercraft called lineless where you don't fold any of the pieces. Don't do this. Not at first. I tried this and it just about ruined my first attempt at papercraft. It's an advanced technique and until you can do a folded model, stay away from it. I can't stress enough to either use a lined model (template has fold lines on it) or else use the lineless model and use pepakura to show you where to fold. It makes life so, so much easier and makes sure your model fits together how it was supposed to. Don't be afraid to lop the ends off your tabs. Generally cut along the lines as best you can. Don't beat yourself up if you don't get it exactly. Also you can chop the ends off your tabs and sometimes this is actually needed. If you even accidentally cut off a tab, all is not lost. Just keep going, the other tabs will pick up the slack and you can always just fashion a new tab after the fact out of a small strip of paper. Avoid sticky fingers. This seems obvious but it really requires discipline. No matter how careful you are with the glue, some is going to get on your fingers. If you then touch an area of your model with that hand you've created an unsightly glueprint on your model. If possible, quickly wipe it off with a damp cloth. If it's dried, well, if anyone figures out how to get rid of it let me know. For this reason it's pretty imperative that you are careful not to touch your model after you've put your finger in glue. If you get glue on your finger, stop what you're doing and wipe it off before continuing. If this means that your tab doesn't set and falls off, so be it. It can be re glued. Plan. I actually ruined Midna's hair a bit and I'm going to have to go back and re do it at some point because I failed to plan. Have an idea of how things are going to fit together as you're making it and plan accordingly. If you have a super complicated part that is covered by something (like a hand that goes behind a body or something) don't cover it first and then plan on gluing in tight quarters. A good rule of thumb is to start at the head and work your way down. But even in this way, always think about how the next few pieces are going to come together. This is where the fun and challenge of papercraft comes in and you'll learn as you go. Something to keep in mind is that even if you mess up you can always cut out improper parts and redo them if something goes wrong. It may not look perfect but at least you can still finish. Don't be discouraged. After I ruined Midna's hair I stopped and didn't know if I'd continue and it was only recently that I decided I'd keep going. I still haven't totally fixed her hair but I have a plan in place and I'm just carrying on with the rest of the model in the meantime until I can work up the courage to take her hair under the knife. Give yourself some leeway and compassion. Anything you build is better than not building anything, right? And again, remember that the point is fun. If you're not having fun, or feeling accomplishment then switch models. End game. This forum thread has a few of the different ways you can preserve your models. While not strictly necessary - a papercraft model left out in a room that isn't disturbed should last a few years - if you want to preserve it for a longer period of time, you can use different resins and fiberglass. And that's all I got. Now for your troubles, here's a few pictures I took this morning of my progress on Midna. You can avoid those white lines by gluing the model up farther than the end of the tabs. As in, find the line where the tab meets the paper and then go up just another little smidge.